You will be given a reference e-book to read which has 385 pages And the test will be based on that e-book , you can take the test only after 10 days Of &nbsp;purchase. Basic math can be defined as the study of space, change, structure and quantity. This basic study works in seeking out new patterns and formulating new conjectures. Those who have studied basic math use mathematical proof in resolving either the falsity or truth of conjectures. Experts also define basic math as a study which takes advantage of logical reasoning and abstraction when it comes to measurement, counting and calculation. Everyone is aware about how important math is in all fields of study and in various industries. In fact, it is known as an extremely vital tool in medicine, engineering, social sciences and natural science. It should also be noted that basic math covers both applied and pure mathematics. Applied mathematics is known as that branch which is more focused on applying knowledge about math to other fields which results to developing new mathematical disciplines while pure mathematics work without using any application. Getting a basic math certification can help you understand everything about this branch of study. This can help you increase your knowledge about calculus, complex analysis, algebra, probability, linear algebra, topology, decimals, fractions, whole numbers, number theory, percent, ratio and proportion, customary measurement, basic geometry, scale drawing and graphs. 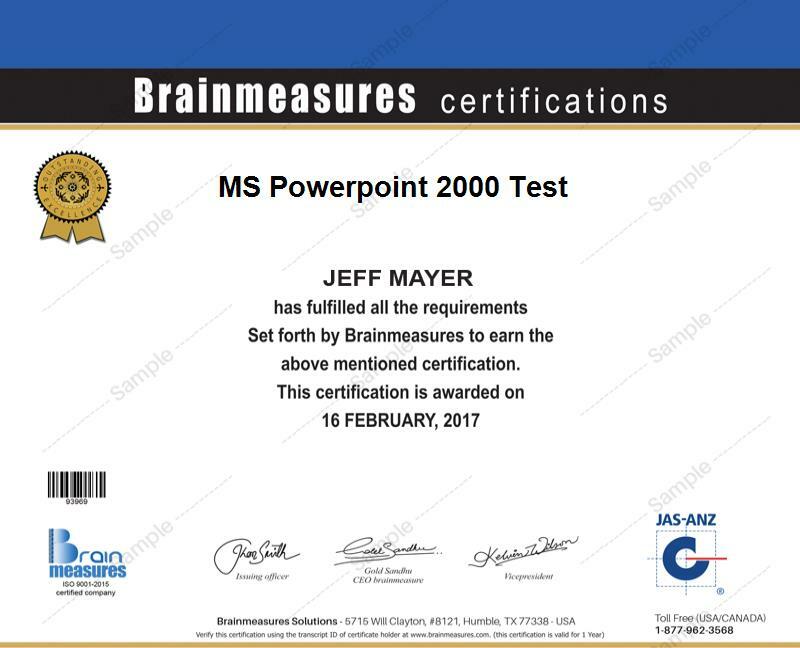 Brainmeasures has become extremely popular at present for being one of the most reputable and the leading employment testing and online certification company which offers different types of certification programs. Because of its guaranteed legitimacy, getting your basic math certification from this company is definitely a wise move. The entire program can help you showcase your knowledge and skills in basic math so you will become more competitive once you start applying for a job. The ISO certification received by Brainmeasures shows how effective the company is in improving your basic math skills. The math exam which the company requires you to take at the end of the basic math certification program is also developed by trusted and expert professionals so you are assured of its authenticity and accuracy. Completing the certification course and passing the exam in the end is a major help in becoming a successful and effective basic mathematician. The basic math certification program offered by Brainmeasures is perfect for anyone who wishes to strengthen their grasp about basic math. The good thing about Brainmeasures is that it offers its basic math certification program without requiring you to meet any standards or qualifications. This certification course is ideal for you if you want to strengthen your skills and knowledge in math and prepare yourself into a more intense graduate program such as chemistry, business, physics and economics. Aside from the huge increase in the number of career opportunities for you, you can also expect your annual salary to rise after completing a basic math certification course. You can expect to get a higher paying job or your present employer may start increasing your salary after showing your basic math certificate. It is possible for you to receive as much as $99,000 per year after you receive your basic math certificate.